Auto-repair shops; we’ve all been there before, yet it’s a place that most of us are wary to go. As soon as that “check engine” light comes on you can feel it, not only in the pit of your stomach, but in your wallet as well. That’s why we at 411information online have compiled a list of tips below which will help you pick a reliable and honest mechanic. Know Your Vehicle - The majority of us have the same look on our faces when we take our vehicle into a repair shop and are listening to the list of problem that need to be fixed. Our eyes glaze over, our heads automatically nod like a bobble-head and our mouths are probably all slightly ajar. That is why the first thing you should do is to research basic information about your vehicle. Google can be a huge help with this. Typing in something as simple as “how does a car work?” will give you hundreds of helpful results. Do Your Research – Now that you understand the basic break down of how a car works, you need to know if you are getting a good deal or not. You should compare one shop to another, including how long the repair should take. You can again use Google as a tool to help you with this. 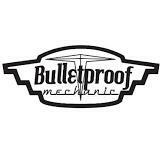 Simply type in the needed repair along with your make, model and year of vehicle. There will be tons of forums with people who have had similar work done. Once you’ve figured out basic estimate of cost and time, call around to different shops in your area and ask for an estimate. Get Recommendations- This is the simplest way of figuring out who the best repair shop is to use. You can ask your family, your friends, your neighbours and even your colleagues if you want. Getting a review from people that you know and trust will always be more beneficial that random online people who may have a chip on their shoulder towards certain automotive shops. Start With a Small Job- So you’ve found somewhere that is reasonably priced and comes recommended by a couple of your friends, what do you do next? Take your vehicle in for something simple and routine, like an oil change. It’s almost always better to start off a good relationship with regular maintenance and check-ups than to try and find someone new when something major needs fixing. Once the easy stuff is done give an assessment of the experience. Does the price seem reasonable? Did they try to up-sell you anything? Was it done in a timely manner? Could you trust the mechanic and other employees? If the first experience is positive, next step is to trust them with something bigger. If you're a mechanic and want to list with us, please do so here https://www.411information.online/. 411information.online is proud to present to you its user friendly online business directory. 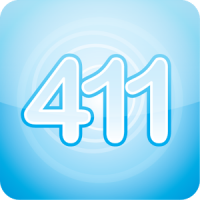 Here at 411-information-online, we strive to set ourselves aside from the other online directories by maintaining a high level of customer relations and a service that we are proud of at a great price. You are sure to be satisfied with us and our services. To maintain a competitive edge and marketing advantage in today’s business environment, you must incorporate internet marketing and web presence as well as other forms of e-commerce driven marketing. What better place to help fill that role then us at www.411information.online? We allow businesses to promote, advertise and market yourselves at a very cost effective manner so that you can focus your costs on other areas of your business. Give us a call to get a listing like this customer today at 1-844-411-3186. Sam Ingraldi Service Center Ltd. 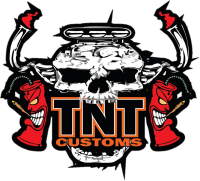 If you'd like a listing like TNT Customs please visit us at https://www.411information.online/.